Michael earned his bachelor’s degree in Fitness Management while playing football at Tarleton State University. Following graduation, Michael attained his Master’s degree while coaching the Running Back position for his alma matter TSU. The experience of playing and coaching college football at a prominent level has molded Michael not only into a great strength coach but a tremendous teacher of skill through the human body. 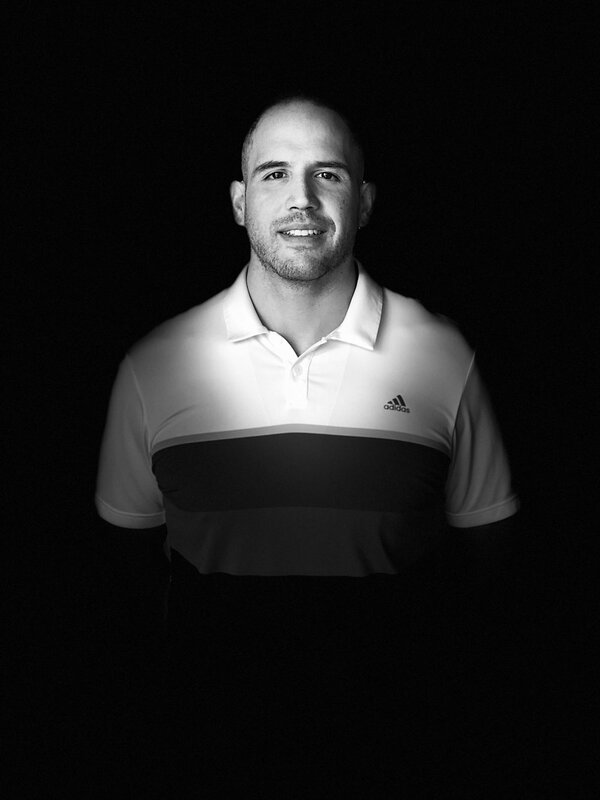 With a great understanding of biomechanics, and a passionate drive to continue professional development, he believes in administering personalized assessments to develop effective programming. Michael’s training incorporates dynamic functional movements, Olympic lifts, kettle bell movements, bodybuilding and power lifting progressions, TRX, and energy system training to create the most physiological adaptations to the body. Through life experiences and injuries sustained through his athletic career, Michael has gained the knowledge and hands on training of how to rehabilitate the body. With over 15 major injuries, Michael never missed a competitive season, but most importantly has never had a single major surgery. Aaron graduated from The University of the Incarnate Word in 2011 with a Bachelor of Science Degree in Kinesiology- Personal Training. While earning his degree Aaron was a part of the inaugural football team which is known as the “Forever First” team at UIW, helping pave a path for future football athletes with a dream of competing at the college level in the San Antonio area. While playing football at UIW He was trained by some of the top strength and conditioning coaches in the industry including members of the University of Texas Longhorns football and San Antonio Spurs strength training staff. Since graduating Aaron has built on his background of hard work, education, and passion for health-related fitness as well as sport specific training. Taking advantage of every opportunity, He continues to achieve his goal of positively impacting the lives of the community of San Antonio and surrounding areas. Starting in 2011, Aaron has held positions of Fitness Boot Camp Instructor, Private Personal Trainer, Youth Speed and Agility Specialist, Athletic Republic Lead Sports Performance Trainer, and St. David’s Episcopal School as the Motor Movement teacher and Team Leader with tremendous success in each phase. Aaron continues to enhance his knowledge and experience with the opening of the F.A.S.T. Academy and training alongside his brother Mike Hernandez. Brittany graduated from The University of Texas San Antonio with a Bachelor of Science in Kinesiology, specializing in Exercise Science. Brittany’s background includes experience in personal training, biomechanics, exercise nutrition, exercise physiology, exercise testing and prescription. As a personal trainer, her specialty is successfuly helping individuals achieve their goals through customized fitness programs and personalized training sessions. Her focus is to maximize each training session through traditional strength and functional exercises in order to decrease body fat, develop strength and coordination, tone and sculpt muscles and increase performance. Regardless of your fitness level, you can expect workouts that are fun, efficient and challenging. Her overall goal is to empower and motivate individuals in becoming their personal best. Brittany believes that providing her clients with an education on the benefits of practicing healthy habits and maintaining a balanced lifestyle is the fundamental key for overall health and wellness.